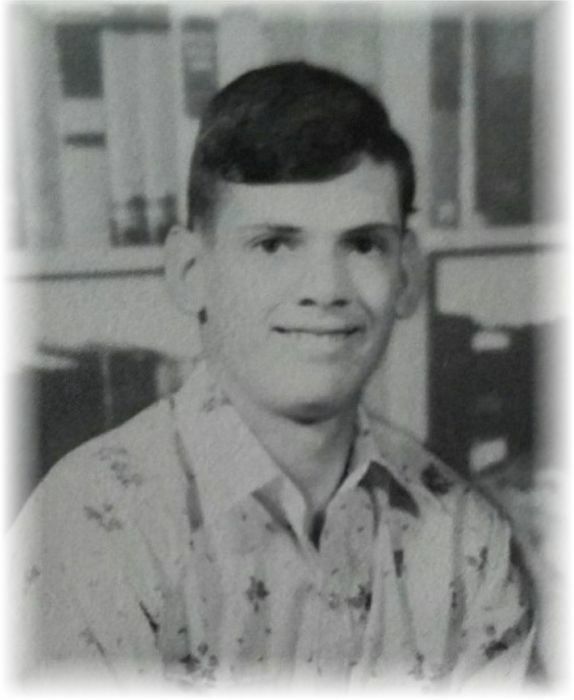 David Alan Cabe of Waldron, Arkansas passed from this life, Friday, July 6, 2018 in Waldron, Arkansas. David was born October 21, 1964 in Ft. Smith, Arkansas to Bobby Harrell and Mildred Cabe. He was the youngest of 3 children. Have was 53 years old. David was a long time member of Hon Volunteer Fire Dept. He loved the outdoors and enjoyed camping.David was also very talented in doing wood work such as jewelry boxes and hand carved canes and crocheting. He won multiple awards in the county fair for his craftsmanship. David leaves behind to cherish his memory, one sister, Vickie Cabe Carter and one brother, Harrell Cabe and wife Alishia all of Waldron, Arkansas, and four step sons: Travis Tabor, Festus Tabor, Virgil Tabor and Newly Tabor. David will forever remain in the hearts of his nieces: Crystal Stevens, Valerie Petty, Savanna Thornton and husband Tyler and Marcy Aboul-Zelof and husband Marwan as well as great nieces and nephews. David is also survived by an extended family of aunts and uncles: Bill Cabe and wife Cathy, Sybil Taff, Shirley Parisi, John H. Swafford, Bonnie Swafford, Melvin Thomas and Ruth and Edward Tatum and many cousins. David will be missed by all that knew him and the many whose lives he impacted. David was preceded in death by his parents, Bobby and Mildred Cabe and wife, Lois Jean Cabe and an extended family of aunts and uncles. David's life celebration will be at 2:00 p.m.. Monday, July 9, 2018 at the Heritage Memorial Funeral Home Chapel in Waldron, Arkansas with Rev. Jackie Smith officiating. Interment will follow in the Sehorn Cemetery near Waldron, Arkansas.Arrangements are being entrusted to the Heritage Memorial Funeral Home in Waldron, Arkansas. David's pallbearers will be Jeff Cabe, Gary Shaddon, Tyler Thornton and Rick Smith. Honorary pallbearers will be Harrell Cabe, Travis Tabor, Festus Tabor, Virgil Tabor and Newly Tabor. David's visitation will be Sunday, July 8, 2018 from 2:00 p.m. until 4:00 p.m. at the Heritage Memorial Funeral Home in Waldron, Arkansas.